READY TO TRAIN: MNCLHD Parkinson's nurse Vince Carroll, PD Fit Boxing class participants Graham Saxby and Paul Grant, and neurological physiotherapist Amanda Sleeman. A NEW and exciting boxing fitness program designed for people living with Parkinson's disease will launch tomorrow. PD Fit Boxing is a tailored, non-contact exercise program designed for maximum impact and benefit for people living with Parkinson's disease. The positive impacts of boxing on the progression of Parkinson's disease are widely recognised, including improved mobility, strength, flexibility and overall fitness. The actions used in boxing training incorporate movement for spinal flexibility, stepping in multiple directions and fast movements. Boxing training is an effective alternative for improving function for people with Parkinson's disease. Supported by Parkinson's NSW, PD Fit Boxing classes will be led by senior neurological physiotherapist Amanda Sleeman of Coffs Neuro Physio, who will be assisted by an experienced boxing instructor. The initiative is a result of a planning partnership between young Parkinson's sufferer Paul Grant, Coffs Harbour Younger Persons' Parkinson's Support Group co-ordinator Ms Sleeman and Mid North Coast Local Health District Parkinson's nurse consultant Vince Carroll. 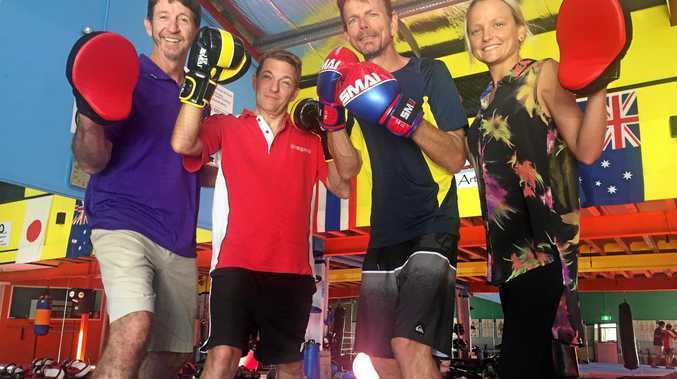 Funding for the program has been provided by the Mid North Coast Local Health District and Parkinson's NSW, enabling the boxing program to become a reality. PD Fit Boxing in Coffs Harbour is at the Senki Martial Arts Centre. For more information about session dates and times phone Ms Sleeman on 6651 1745 or Mr Carroll on 6659 2300.